Today the Reiki Fellowship is providing healing energy to the seniors at Horizon House center and supported living facility in Seattle. This mainstream health care facility is open and receptive to having our practitioners come for a second time to offer gentle treatments that residents have reported help with anxiety as well as aches and pains. Each month we will provide such sessions and continue to be a part of the wellness program there. The light of Reiki continues to shine with my book, Touching the World Through Reiki being available through the Library of Congress in Washington, D.C. Americans of all ages can now have access to this book that profiles the development of the Reiki Fellowship and Reiki Training Program and techniques such as Insight Reiki and applications of this work with veterans, the environment and even combined with the artistic world of acting. Tomorrow, I’ll be flying from Seattle to Spokane to give a keynote speech for the Holistic Chamber of Commerce on this work and also talk about the development of our branch training campus in Spokane that opened last year. This weekend will also be advanced training in the practice of Insight Reiki, the technique I developed that combines guided meditation, aspects of counseling and shamanism into the basic practice of energy healing. Followed by a Red Cross presentation on disaster preparation and a Reiki circle in which we come together to offer healing for Japan and for each other to be supported and nurtured during these times. The work of a Reiki practitioner and teacher never ends. There is always more light to shine in the world, in thought, word and deed. To be a positive force in times of turmoil, to be a center of calm when there is unrest and to bring peace and happiness to those we interact with. I feel very honored for all the achievements that doing this light movement has accomplished. By spreading the word there is more awareness to individuals who would otherwise not have heard of it. 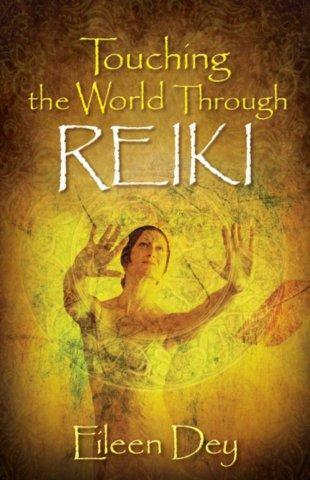 Reiki is a movement of light in the world. Light is vibration. It shifts patterns. It removes obstacles. It brings about balance. Because its frequency is for restoring harmony, I often say Reiki is like “A rising tide that carries all boats”. When you bring this force into the world, you help it to change to a more positive outcome. It is always and forever the highest good. If you’d like to be involved in this “Light Movement” view http://www.reikifellowship.com and http://www.reikitrainingprogram.com for more information.